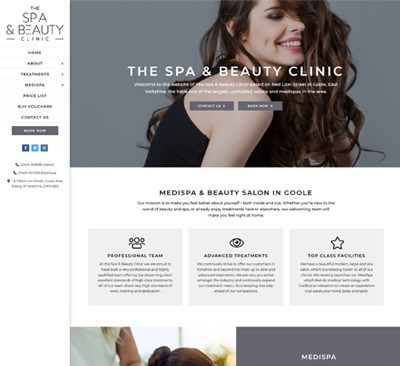 Whether you already have a website for your business or would like a brand new one building from scratch, we can help! 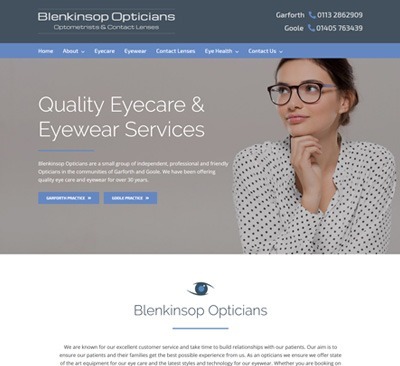 We design websites that are affordable, professional, work well on a range of devices including smartphones and tablets, rank well on major search engines such as Google and Bing and have great calls to action so that potential customers contact you. All our websites are built with search engine optimisation (SEO) in mind and are therefore easily found on search engines such as Google and Bing. We have clients of all sizes in a wide range of industries who perform well on Google, many ranking in the #1 position for their chosen keywords. If you already have a website that isn’t ranking well, get in touch and our SEO experts will take a look. For most searches on Google, the top 3 or 4 positions are taken by Pay-Per-Click (PPC) adverts. These businesses are charged an amount every time somebody clicks on their advert and goes to their website. We are a Google Partner company and are experienced in setting up Google Ads and Bing Ads campaigns ensuring you get the best possible value from your budget. Don’t hesitate to get in touch with us if you would like a quote or just want to know more about our services. 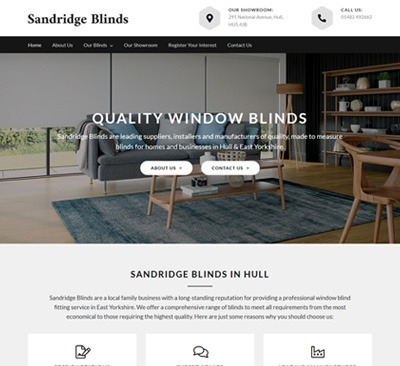 Get Noticed Locally are a Hull web design company who work with businesses of all sizes regardless of whether you already have a website which you would like redesigning or would like a brand new website building from scratch. 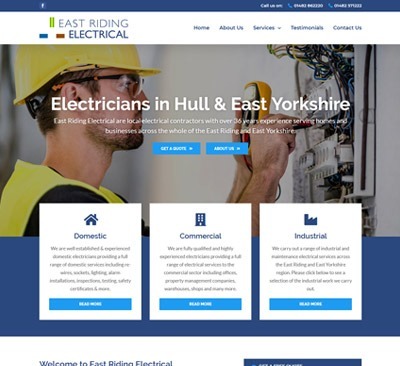 We understand that local businesses in Hull and East Yorkshire want a professional website at an affordable price. This is exactly what we offer, and much more! We charge an upfront fee for the initial design of your website and a monthly fee for the ongoing support and hosting. More people are now viewing websites on mobile phones than desktop computers. Therefore it is vital your website looks great and works well on mobile devices. 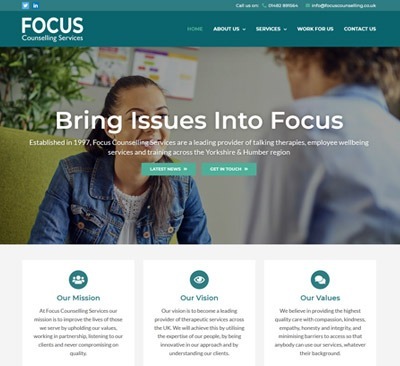 All the websites we build are fully responsive meaning the layout changes to best fit the device it is being viewed on. Some web design companies charge a fortune to develop your website and then offer a very poor aftercare service. 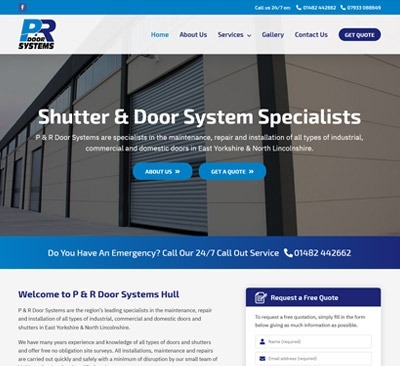 We offer a range of monthly packages for our hosting and support so should anything go wrong with your website, or you want some changes making, we are there to help. All the websites we build are search engine optimised (SEO) and therefore should be easy to find on search engines such as Google, Yahoo and Bing. We have clients of all sizes in a wide range of industries who perform very well on Google and other major search engines. We are a small team who take great pride in the support we offer our clients. We enjoy building long-lasting business relationships and many of our customers who were with us in the early days of our business remain customers today. We are friendly, honest and go the extra mile for our customers. We are proud to be a Google Partner company. The Google Partner badge that we display on our website shows that we have passed the Google AdWords product certification exam (for Google Search PPC advertising) and are up-to-date with the latest product knowledge. Get Noticed Locally have worked with me over the past couple of years designing and developing two websites for two of my very different businesses. Both websites ended up looking terrific and do exactly what I wanted them to do. Get Noticed Locally are a great company to work with. They delivered a fantastic website for me and are always happy to tweak/update things when I ask. I can’t recommend them too highly. Brilliant service and very approachable staff who are honest, hardworking and most importantly, very good at what they do. I highly recommend them to anybody looking to improve their business.